Can you figure out what this puzzle says? Substitute one letter for another. 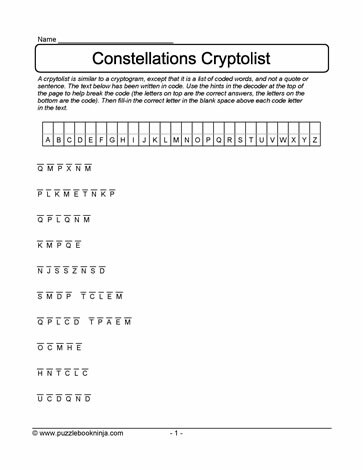 Keep track of the letter solutions in the chart. A great list to expand the mind to think 'outside the box'.